Don’t get to busy making a living to have a life! Kozmo “Koz” Mraz, an author and renown moto-photo journalist has published over 200 features for prominent travel and lifestyle magazines. Koz travels the world on two wheels. From China’s great wall to the Himalayan mountains, Europe or the back roads of America, his travel adventures feature interesting people and unique destinations in entertaining prose. Raised by a Wiccan Priestess, his mother published a magazine called “Occult Americana” and his father owned a nightclub called “The Zombie Club.” Surrounded by beatniks and hippy chicks, Koz had an unusual childhood. Psychedelics at 13, motorcycles and metaphysics at 14, travel and adventure became his mantra. 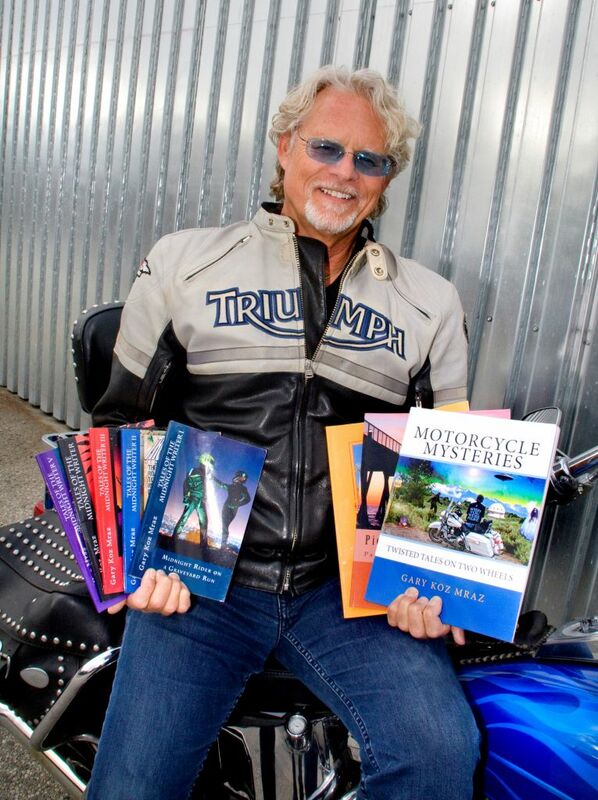 Koz currently has 3 non-fiction travel books, “Piers of the West Coast” “Motorcycle Mysteries” and “Motorcycling the Himalayas and other Sacred Places.” His supernatural thriller fiction series include the popular “Midnight Rider on a Graveyard Run,” “Thundertaker,” “Unity 7,” “Hoka Hey,” “Neptune’s Net” and “The Red Room.” A College Professor and award-winning writer, Koz is a special-interest presenter for events. He is an energetic and interactive speaker who uses multimedia and humor when sharing his experiences and insights.